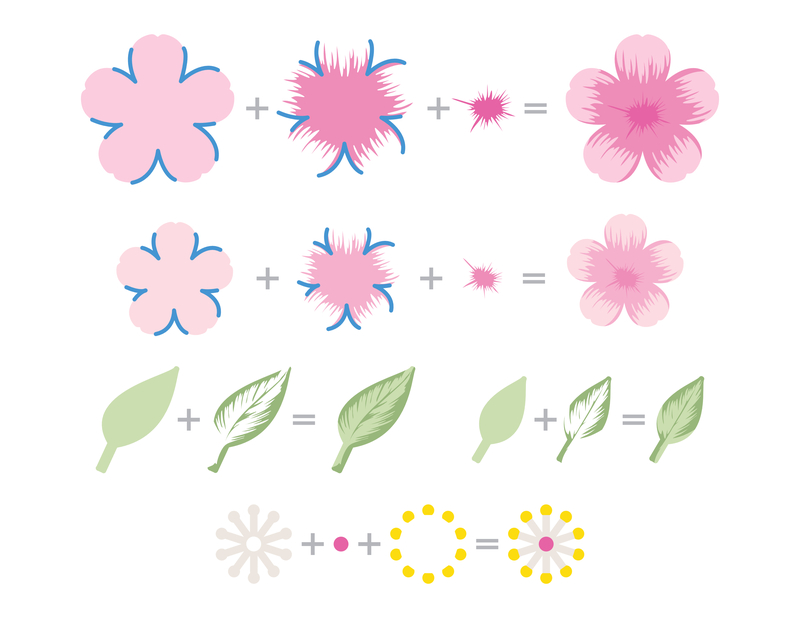 Hello everyone and welcome to our special Build-A-Flower Release- this month we have the gorgeous Build-A-Flower Sakura Blossom! We are excited that every month we will have a special release of a new Build-A-Flower Set– so make sure to look out for these beauties they are sure to make an incredible collection! The sakura blossom is a lovely Japanese flower, and is known as a cherry blossom in some parts of the world. “Sakura” is derived from the Japanese word for “bloom” – “saku.” In the United States, tourists travel to our capital, Washington D.C., to see the flowers bloom at the annual cherry blossom festival. This stamp set features layered cherry blossoms and leaves, and the accompanying dies have score details to help you create 3D flowers. So to celebrate this special release, we are giving away a $30 gift certificate to THREE lucky winners! Please leave a comment here on the Altenew blog for a chance to win. The winners will be announced on Tuesday, January 26th. Yet another beautiful new flower release. I look forward to seeing these every time! Another gorgeous set! Great inspiration from the DT! Gorgeous set! Love the build a flower sets! My granddaughters would like to make these. These are all beautiful! Thanks for this great set and for a chance to win a voucher so I have a chance to get it. This build a flower set is amazing! You can never have to many floral stamps and dies! A very versatile set. Like the 1st card and the layout best. A beautiful flower your releasing again, Cherry Blossom holds a special place in memories to me. The posts designers have left show how stunning they are and so versatile on many projects, Wow ! Beautiful! I love cherry blossoms. Definitely going to have to get these! Beautiful layout and beautiful cards with the Sakura BAF! This is such a beautiful flower, the simple design is so versatile. Thanks for this new product and the samples that illustrate it. 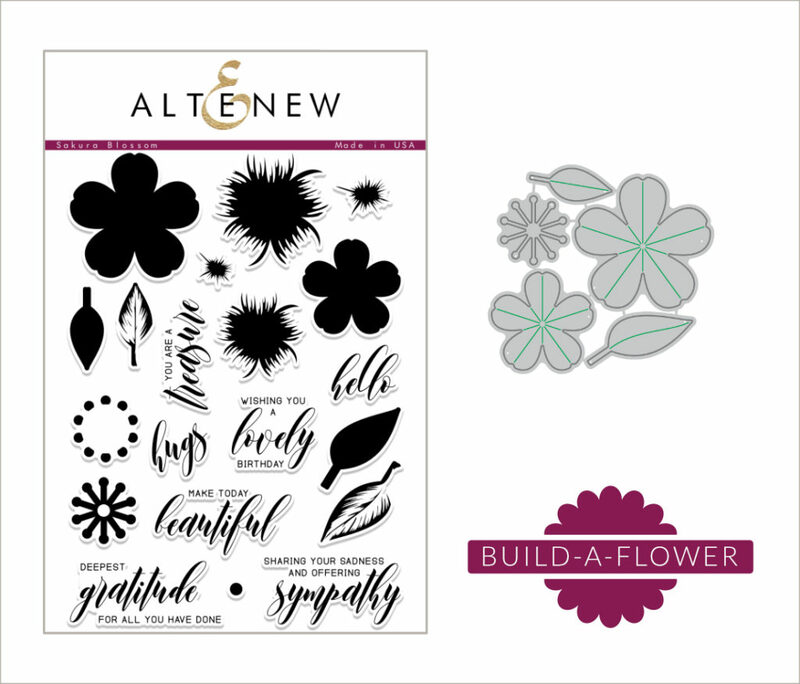 Altenew has such beautiful layering stamps-another must have set! Build-A-Flower Sukura Blossom is beautiful! Oh W?W I ABSOLUTELY love this gorgeous SAKURA BLOSSOM set. The DT’S have done a FABULOUS job o all the layouts. What great ideas using these ew stsmp and die sets. Just gorgeous.